Sustainable Communities: Where Did the Concept Originate? Recently, we have been flooded with articles and meetings concerning "sustainable communities" and "sustainable development." Those articles and meetings have given few details about what a sustainable community is truly supposed to be like. They do, however, try to sell the public on what a great idea it is for local people to preserve resources for use by future generations, while saving the world from air pollution and dirty water. Who could possibly be so heartless as to condemn our children to breathing dirty air and drinking filthy water? The problem is that virtually none of the details have been disclosed concerning what a sustainable community would be like when completed. Even the local elected officials , educators, business owners, and citizens of Alachua County have been kept in the dark for fear the truth would condemn the sustainable community and sustainable development projects to instant death. On May 31, 1997, an article appeared in the Guest Column of The Gainesville Sun newspaper by Mr. Warren Nielson, President of Sustainable Alachua County, Inc. entitled " In The Spirit of Sustainability." The article stated the "Sustainable Alachua County, or SAC, is a citizen's movement representing a wide spectrum of interests .... As one might expect, the organizational process of this grass-roots enterprise has indeed been clumsy, slow and sometimes stressful ... Alachua County Commissioner Leveda Brown and Gainesville City Commissioner Pegeen Hanrahan have invited all elected officials, charter officers, and governmental staff within Alachua Countly to a public policy forum the evening of June 19 on the campus of Santa Fe Community College." It appears that the only accurate part of Mr. Nielsen's quoted statement is that Leveda Brown and Pegeen Hanrahan did invite public officials and staff to a meeting at Santa Fe Community College on June 19, 1997. However, the facts are that Sustainable Alachua County is not a citizen's movement, nor is it a grass-roots enterprise, by any stretch of the imagination. The organization process has not been slow or clumsy, but was well planned, organized, orchestrated and presented with the skill, cunningness, and lightning speed of the sneak attack on Pearl Harbor. The announced meeting at Santa Fe Community College, on June 19, 1997, was not a public policy forum, since no one representing the general public was allowed to ask questions or offer any comments concerning their views on sustainable communities and sustainable development. Following the meeting, several persons in attendance, who were denied participation by the facilitator, Mr. Herb Marlow, approached certain city and county commissioners to inquire whether they were knowlegable about where the idea or concept of sustainable communities originated. Without exception, the commissioners claimed not to know the answer, but were under the impression that it was locally concieved. It is difficult to understand why any public official would lend support to, or participate in promoting a sustainable communities program, without first doing research to determine who or what is behind it. Nevertheless, it is only fair to give the commissioners the benefit of the doubt until they have been fully and adequately informed. One of the commisssioners, who shall remain nameless, for the moment, was asked whether the sustainable community project would ultimately result in banning the use of air-conditioning in homes and businesses, and whether the use of automobiles inside sustainable communities would be prohibited. Surprisingly, the response was not a denial, but rather that the commissioner had lived without air-conditioning before, and could do so again in the future. The commissioner did not deny that the use of automobiles might be prohibited inside sustainable communities, but acknowledged that such prohibition is possible. Another elected official, not a city or county commissioner, expressed a disbelief in the suggestion that the United Nations has any connection to the sustainable development or sustainable communities program. The fact is that the concept of sustainable development originated with the United Nations many years ago. It is not a new idea that was just conceived by someone in Alachua County. Why do the articles and presentations on sustainable communities and sustainable development fail to tell the general public that both programs were conceived by the United Nations and were born out of the "Biodiversity Treaty," which has been signed by President Bill Clinton , but never ratified by the U. S. Congress? 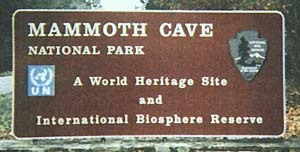 Why are we not told that approximately 68 of our national parks, forests and monuments have been designated as "World Heritage Sites" or " International Biospheres" and placed under the control of the United Nations? In June of 1992, the United Nations sponsored a Convention of Global Biological Diversity (Earth Summit II), in Rio de Janeiro, out of which came the Global Biodiversity Treaty and Agenda 21. In 1995, the United Nations Environment Programme (UNEP) published the Global Diversity Assessment, consisting of 1140 pages, for the purpose of implementing the Global Biodiversity Treaty and Agenda 21. Section 10.4.2.1.2 of the Global Biodiversity Assessment sets forth the criteria for protected areas stating that, " ... Representative areas of all major ecosystems in a region need to be reserved, blocks should be as large as possible, buffer zones should be established around core areas, and corridors should connect these areas." The overall plan is to transfer approximately 50% of the land in the U.S. from private ownership and control to the federal government, the U.N., or U.N. approved non-governmental organizations. These lands will then be separated into core areas, where human activities will be prohibited, and buffer zones, where use by humans would be be severely restricted. These core areas and buffer zones would then be connected by wildlife corridors, in accordance with the Wildlands Project. The idea being that animals could be hypothetically travel travel from coast to coast by way of wildlands areas, connected by wildlife corridors, and never have to encounter a human being. The remaining areas, or "Islands" will permit normal human use, so long as the activities conform to the principles of sustainable development. The "Islands" are the only area where sustainable communities will be built, and where people will ultimately be relocated. On the other hand, "human families" will dwell in confined communities, where they will walk or ride bicycles to work or community market centers. The above map shows the long-range plan to "rewild" half of the continental U.S. In 1993, President Bill Clinton signed Executive Order #12852, establishing the President's Council On Sustainable Development. Approximately two and one-half years later, the President's Council published a report entiled "Sustainable America: A New Consensus for Prosperity, Opportunity, and a Healthy Environment for the Future." On September 27, 1994, Florida's Governor, Lawton Chiles, signed Executive Order 94-54, creating the Governor's Commission for a Sustainable South Florida. In 1996, the Florida Legislature passed Section 163.3244, Florida Statutes (Sustainable Community Demonstration Project) which authorized the designation of five sustainable communities in Florida, three of which had to be located in South Florida. Both the city of Gainesville and the city of Ocala submitted applications to the Department of Community Affairs, in Tallahassee, seeking to be designated as one of the five sustainable communities. Ocala was the successful applicant, much to the dismay of the Gainesville City Commission. After much negotiating, the city of Ocala finally signed an agreement with the Florida Department of Community Affairs, and officially became a sustainable community. The fact that Gainesville did not "win" the designation had no effect on certain proponents proceeding with their planned agenda to force the sustainable community concept on the people of Alachua County. In order for the United Nations Agenda 21 plan to succeed, sustainable communities must be uniformly established in all cities or counties throughout the United States of America, and every other country in the world. This is by no means a local project, but has global implications.